It looks like Microsoft's Windows Phone business is losing more money than anyone would have expected. We can't imagine other reason for which the Redmond-based company would consider moving away from Windows Phone and start pushing Android devices instead. 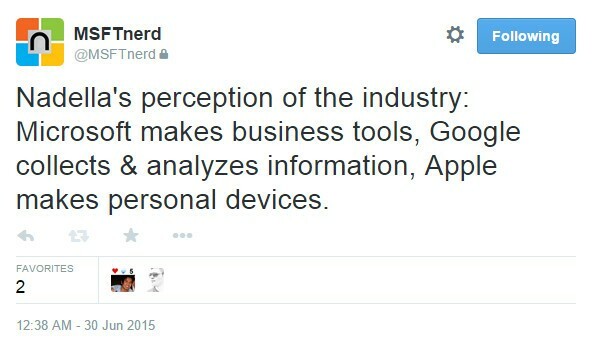 But that is a point of view offered by Microsoft leaker @MSFTNerd who just tweeted some interesting tidbits of info that suggest a real earthquake for Microsoft's mobile business. Apparently Satya Nadella is about to decide whether or not Microsoft will continue investing in Windows Phone handsets and small tablets. If the company decides to drop Windows Phone, then it will continue to bundle its services on Android smartphones and tablets. Microsoft might also push its own Android smartphones and tablets on the market, which will also contain some of the most important mobile apps and services offered by the Redmond-based company. 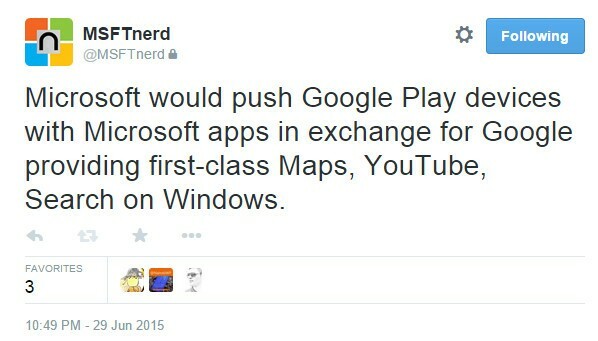 In return, Google will offer some of its “first-class” services on Windows such as Maps, YouTube and Search, @MSFTNerd claims. 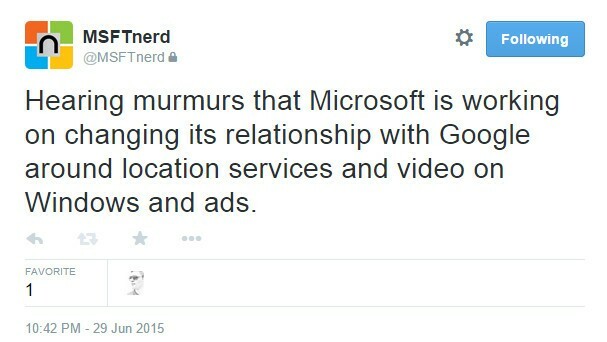 Moreover, Microsoft is said to consider changing its relationship with Google in the matters of location services, as well as video on Windows and ads. The last part proved to be accurate, as Microsoft has just announced that it has unloaded its display ad business, which has been bought by AOL and AppNexus. The move will also result in the loss of 1,200 jobs among Microsoft employees. Following the agreement between Microsoft, AOL and AppNexus, the Redmond-based has officially stopped being a meaningful competitor for Google in the display ad business. Still, dropping the Windows Phone in favor of Android would be a much harder decision for Microsoft, especially that the company is now readying for the Windows 10 Mobile launch and at least a few high-end smartphones. It looks like the next couple of months will be decisive for Microsoft's mobile business, as the company can't afford to continue to bleed money.